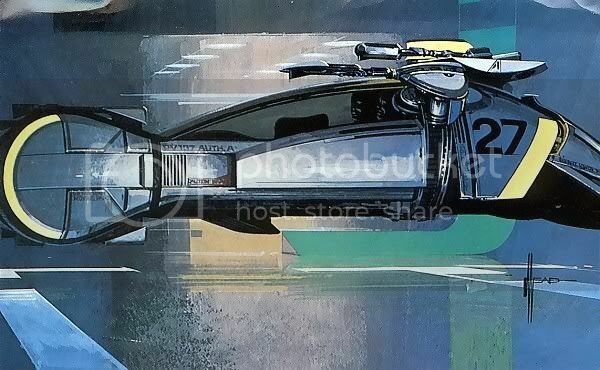 Syd Mead, production designer for such classics as Tron, Bladerunner, and Aliens, will be giving a lecture at the Society of Illustrators, NY. you should put this up on the blog as well, Irene. EDIT: Crap that's also the 3rd Thursday. SoI rocking the scheduling problems. Maybe that's why it's not on the site. are they gonna stick him down in the basement or something? Man, schedule permitting, I really want to see this. I missed him last time I had the chance to see him speak and I really wish I hadn't. I assume he'll be in the ground floor gallery. I'm not setting this up, but I'll ask the guy who is. I just bought 2 tickets myself. Looking forward to it. Warning: It looks like tickets are flying for this. if anyone is interested, you'd better act quick. Mead will be speaking to my class on the 26th. I'm so freakin siked I could pee myself. 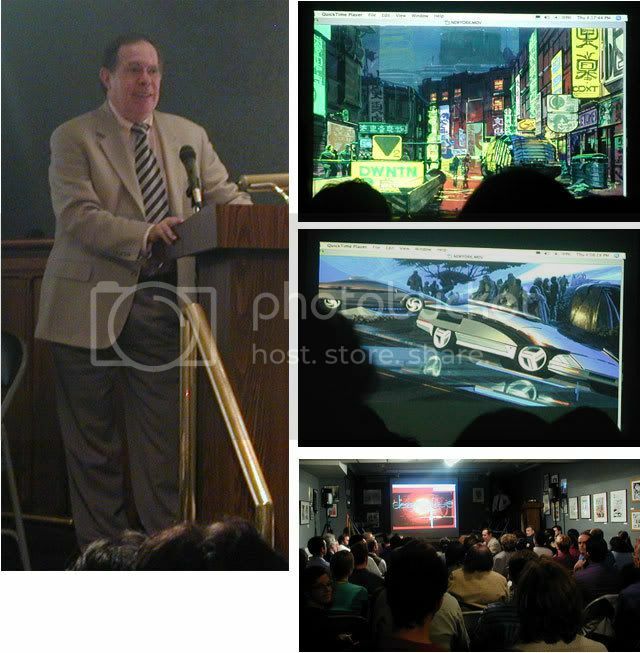 This week we had Scott Mccloud and next week Syd Mead. the lecture is THIS THURSDAY! are you coming to the lecture Dan? I'll be upstairs for Thursday Figure Drawing but i may sneak out to catch some of the lecture. Crap! I forgot that it was during the baord meeting. Well, I think I'll skip the board meeting. I hear the event is sold out so, if anyone was planning on buying tickets at the door, best to call ahead. You lucky NY'ers, I would love to hear him speak. The man is a legend. i have one extra ticket if someone needs. In France, illustrators are much more isolated, and many schools teach like they're far away from the real life, looking at successful artists with a suspicious eye. But, hey ! It could be changed, and it gives me the idea that I could organize such lectures or demos for my students during the year. Amazing french artists may accept the invitation, so why not. Now you're talking! Most people are honored to be asked. These events have really been very easy to do. Keep us posted if you do organize one. haha! That's the back of my head! (sorry for being so tall, if you were behind me ). Great workshop. I'm really looking forward to Art Out Loud in November. I learned tons and it was really inspiring. Thank you :.